The Schneider Electric system combines robust tank monitoring equipment, market-leading Centeron OptiFill tank fill optimization software, and Centeron Dispatch Compass routing and dispatching software to provide a complete set of tools to dramatically improve the productivity of any liquid distribution business. Our wireless tank monitoring equipment is unmatched in breadth of product, satellite technology, and reliability. The system can communicate globally to ensure the best solution for any application. The Centeron LevelTrack Radar Monitor is rated for applications requiring ATEX approval, so you can be sure it's safe to use in demanding environments. The Centeron LevelTrack monitor is paired with a BLE satellite communication device providing global communication capability. With this global capability, the solution is perfect for locating the asset being monitored. 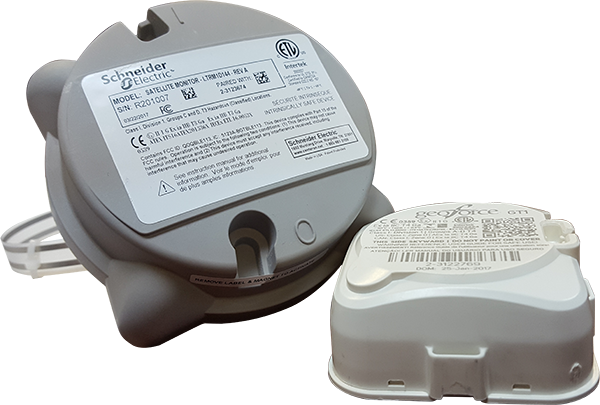 Like other Schneider Electric products, its ease of installation, long battery life, and rugged enclosure assure a long life of excellent performance. Centeron LevelTrack: Simply the right choice for your monitoring needs. The Centeron LevelTrack Radar Monitor can be easily installed in minutes. The video below provides an informative demonstration. Tank Depth: up to 12 ft.
Additional qualifications apply but are not listed.